Joining Tracey on the panel will be Michael Karlin of the Treasure Board of Canada Secretariat, Alexandra MacEachern of the Information and Communications Technology Council (ICTC), and Paul Harding of InnoGov Canada. The panel will be moderated by Jenna Sudds of the CIO Strategy Council. 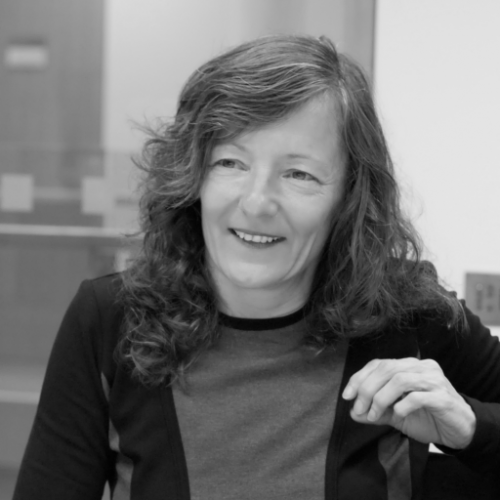 Dr. Tracey Lauriault has international, transdisciplinary and multi-sectoral critical data and technology experience via her work on the Programmable City in Ireland. As a board member of the Institute for Data Science she helps bridge computer science, social theory and public policy. Her ongoing research examines Open Smart Cities in Canada with partner organization, Open North, and she is a collaborator on an Insight precision agriculture project on big data and AI domains. She is one of the founders of critical data studies, of open data in Canada and was awarded the inaugural Open Data Leadership Award. She also works on topics such as spatial data infrastructures, spatial media and smart cities. She serves on the multi-stakeholder forum for Canadian Open Government Civil Society Network and brings experience in scaling up data and civic technology policy. She contributes theoretical and methodological expertise in digital ethnography, data and technological genealogies, socio-technological assemblages and data classification techniques to assess and govern AI. She is Research Associate with the Programmable City Project (funded by the European Research Council (ERC) and based at the National Institute of Regional and Spatial Analysis (NIRSA), Maynooth University, Republic of Ireland), the Geomatics and Cartographic Research Centre (Department of Geography and Environmental Studies, Carleton University, Ottawa) as well as the Centre for Law, Technology and Society (Common Law and Civil Law Sections, University of Ottawa’s Faculty of Law.